And, finally, Vancouver. (Not that I’d forgotten about this post, oh no.) My first impression was that I could move there tomorrow, though after 5 days it was starting to feel a little quiet for my taste (I’ve clearly been ruined by London and New York!). We stayed in the Gastown area, which has a nice lived-in feel. Our guidebook described it as ‘historic’, by which it actually meant somewhat run-down, but there was nothing particularly seamy about it. 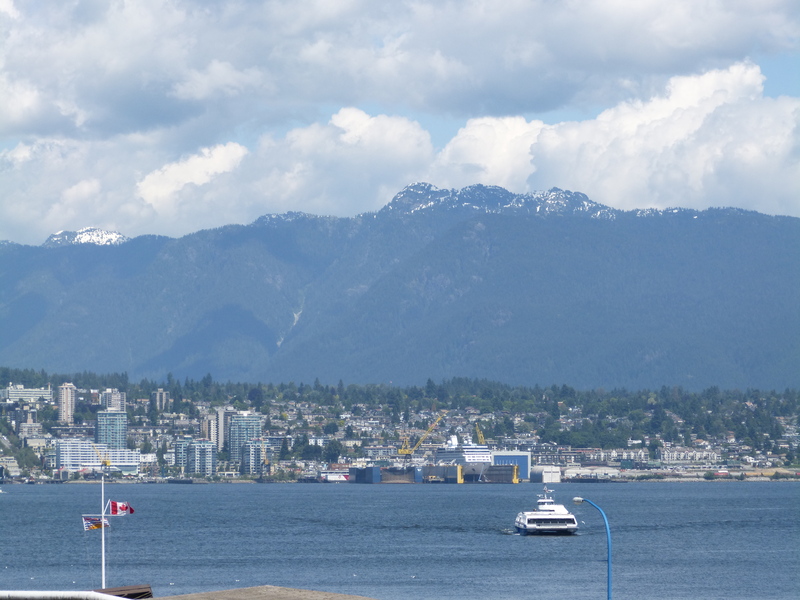 It was entirely pleasant to wander around, and a lovely waterfront pathway provided fantastic views north across the harbour to the mountains, which were still just about snow-capped. Walking west along the water brought us to Stanley Park, which appears at the top of pretty much any ‘what to do in Vancouver’ list you care to consult. We weren’t really sure why, but decided it would be a pleasant way to spend an afternoon, so wandered over to see what it was all about. In actual fact it was quite remarkable, the centre of the park feels rather like being in the rainforest, with towering old trees and dense undergrowth. Other than the well-maintained paths you could believe you were a long way from civilisation, which makes it all the more startling when you emerge onto the path along the seawall and have to compete for space with pedestrians, joggers and cyclists. Whilst walking the seawall we were very excited to spot an eagle contemplating the harbour from a rock, before heading back inland to Beaver Lake where we failed to see any beavers. The search for dinner took us into another of the downtown districts, Yaletown, which is full of industrial-looking buildings made into shops and restaurants, combined with shiny apartment towers and attractive public spaces. All very nice. 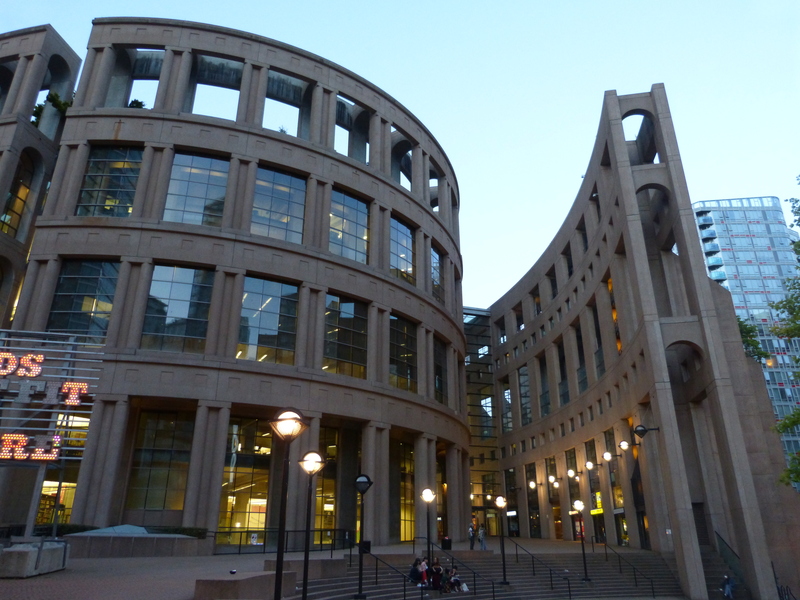 Suitably fortified by trendy burgers and gelato, we wandered back past probably the most unusual public library building I’ve ever seen. 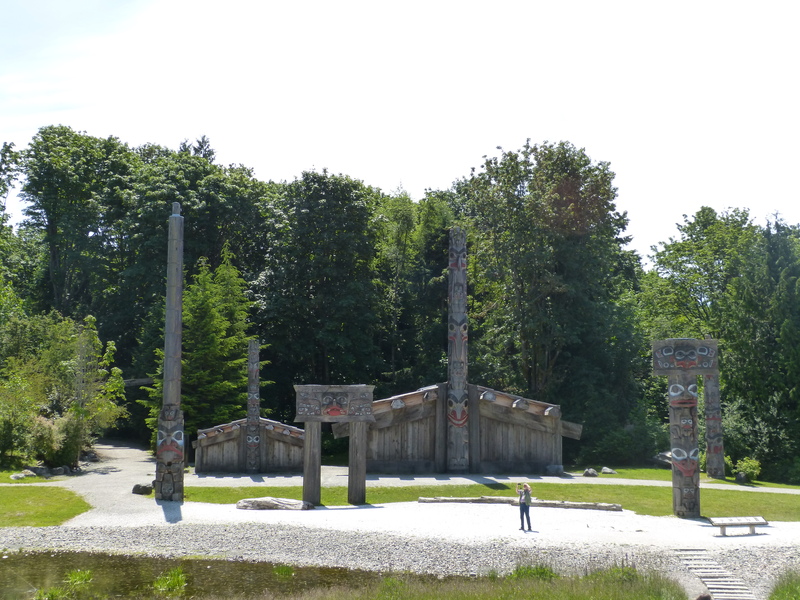 Next day we took the bus out to the Museum of Anthropology, where it was interesting to learn about a totally different culture, although Tom felt that the museum didn’t go far enough in explaining the culture and history behind the artefacts on display. I enjoyed browsing the beautifully-painted and intricate woodcarvings, and particularly liked the recreation of traditional village buildings outside in the museum grounds. Heading back we took in Granville Island (actually a peninsula) where there is a market selling interesting food, and some attractive souvenir-type shops too. 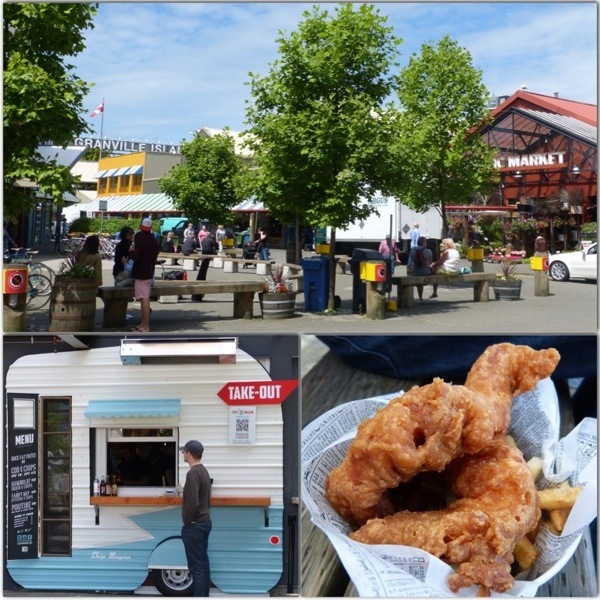 This is another Vancouver highlight, and whilst it was nice enough I’m not sure it was necessarily worth all the hype, although I must say that we found some wonderful fish & chips (with gluten free batter! ), which made the trip entirely worthwhile! 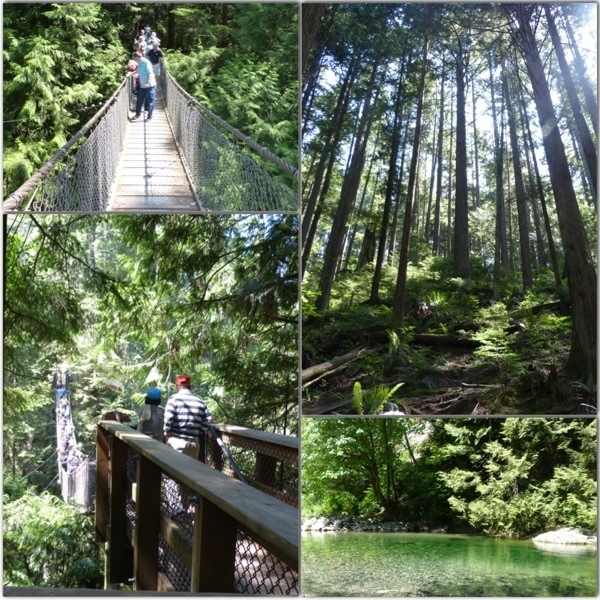 For our final full day in town we travelled out to the edge of town to visit Lynn Canyon park. This involved a lovely ride across the harbour on the sea bus, then a regular bus ride out through the suburbs. Arriving in the park we paused for coffee in the sunshine before tackling the suspension bridge, which seemed to be the main attraction – it was surprisingly wobbly, and felt gratifyingly precarious. Back on firm ground, we spent a very pleasant few hours walking the woodland trails, and picnicking on a bench above a waterfall. On this occasion Tom travelled home before I did, as I stayed on to attend a conference. He booked a red-eye flight back mainly so he could visit the Aquarium, which was apparently well worth it! I can’t quite believe that it has already been 6 weeks since we got back from our trip. Despite the initial Amtrak issues, we had a wonderful time, and would certainly recommend that part of the world as a holiday destination. 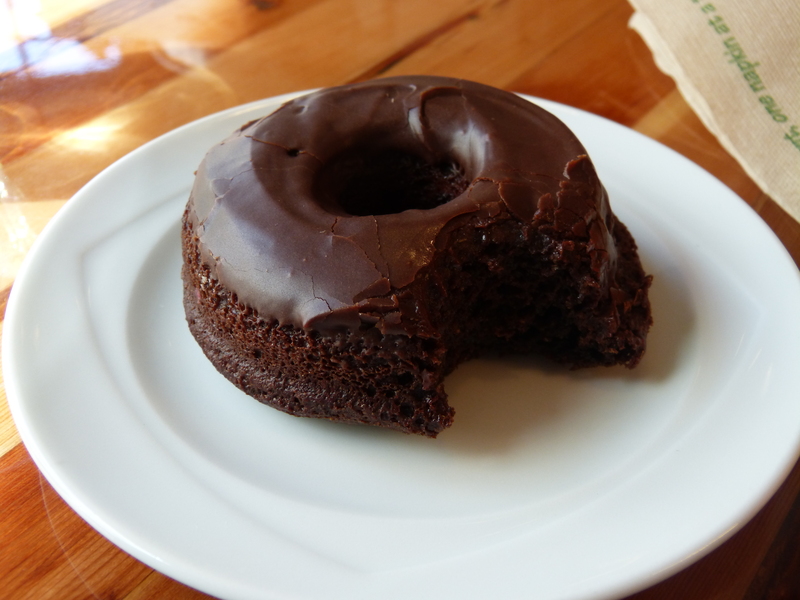 I shall end by remembering the amazing doughnuts from Cartems donuterie – a branch of which was conveniently located across the block from our Vancouver hotel. Not only do they sell a range of interesting and delicious flavours, they do a number of different gluten free options each day too, all of which were wonderful, and the staff in there were recognizing me by around half way through our stay! And, of course, there are more photos of all of this over on Flickr. 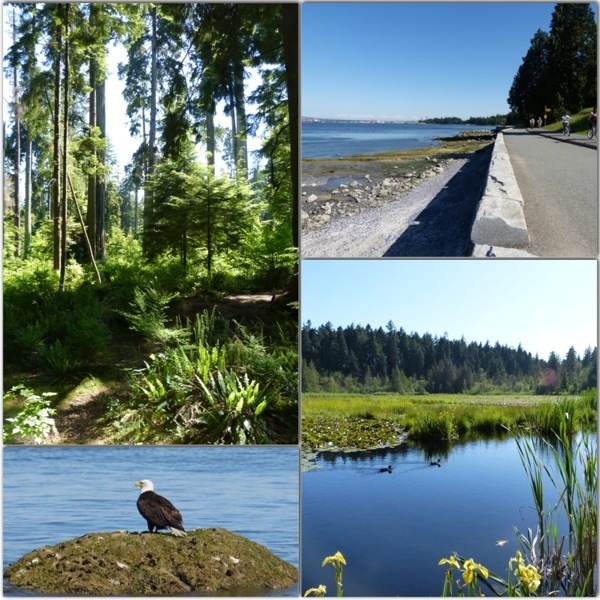 This entry was posted in Holidays and tagged 2014PNW, anthropology, Cartems, eagle, gelato, mountains, Stanley Park, walking by Emma Davidson. Bookmark the permalink.